2018 has taught me one major thing. Delusion is something your reptilian brain dangles in front of you like the proverbial carrot. We’ve been watching train wreck after train wreck happen in some pretty significant parts of the world, together with humaning that induces ugly snot crying of gratitude because there really are amazing people in the world, who, when you find them, prove to us each and every time that love always wins. Vulnerability has become the new buzz word and I’m prit-tee sure there’s a giant chunk of us that’s had enough of vulnerability. When does discernment and vulnerability ever show up at a party together? Either one of them could be responsible for someone ringing the police because you’ve broken the noise rules or Dr Phil because you just need to pull yourself together and start taking action. 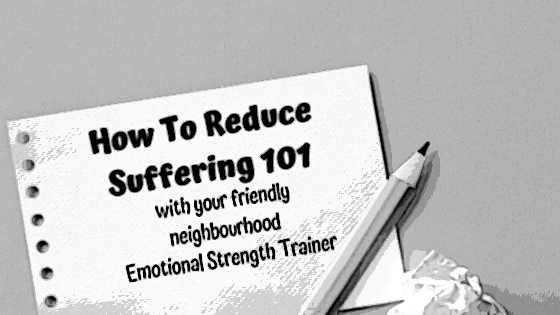 Suffering, how does that fit into the equation? Because this year’s energy feels unrelenting, like it’s the biggest gaslighting narcissist you’ve ever known. It gives you snippets of hope that everything is getting better and back on track and then the wounded child comes out and starts unleashing all the mean things that you’ve been secretly saying to yourself for years. You would be forgiven for thinking that you are suffering through a really horrible year. Here’s where I can start to help you shift that carrot of delusion out of your view and let the donkey eat it as well as making friends with your vulnerability with a giant game changing option of discernment thrown into the mix. If you want that now click HERE, otherwise read on. 2018 is a catalyst year. It is the end of a part of your life that began in 1998 which was the other catalyst year. You’re building your foundations for the next 30 years of your life. Today I asked all my friends on Facebook how old they will be in 30 years time. Sometimes it’s a shock seeing that number. I’ll be 78 in 2048. How old will you be? Think of all the major things you’ve had show up for you this year and tell me if you want more of the same during the next 20 to 30 years? I know the big ticket items that have shown up for me this year have made me finally deal with my profound anger at things that my soul has chosen for me. Only this week I’ve realised how much power I’ve ONCE AGAIN given my story over my right to be in a better place. I’m so tired of myself right now. Just the same as when I came home from living in the UK in 1998. Back then it was my first marriage and family of origin. This time it’s just my family of origin. Even though I’ve not had anything to do with them for three and a half years now, I keep being angry at my fears that I am paying a price for being born into a family that, in the end, just weren’t that into me. I’m tired of that story. I’ve made myself suffer enough with it. The reason I asked my friends how old they’ll be in 30 years time is because now is our chance to finally go deep and cut our old stories loose for good. We want to be standing our own rock that is our Soul and it’s purpose by the end of this year. Imagine yourself at that age? What will you see around you? What do you WANT to see around you? Whatever your story is for this year, I’d like to hope that you are done suffering with it too. We’ve got 72 days left to set up our healed version of ourselves. That’s loads of time! I’d like to be the one to help you clear the last 20 years of baggage from your energy body, so that the conviction with which you stand there and say “This Is Who I Am” is like the concrete girders they put on motorways when they are doing road works so no one can unexpectedly drive over the median strip and create death and destruction because their vulnerability and fears caused them to lose focus of the prize that is your future. If you’re officially living your GET THIS SH*T OUT OF MY LIFE 24/7 and you want to secure the clean out to the cells that fill your body and soul, then click through to the groups I have on offer to bring in that game changer you’ve been begging for.